A few WMS students had the opportunity to lunch on Wednesday with young adult author, Susanne Lambdin! The Knights heard about what it takes to become a great writer as Susanne shared many of her experiences! Lambdin also donated ALL of her books to the WMS Library!! Read more about Young Adult Author Visits WMS! Congratulations to our WMS 8th Grade Lady Knights - a group of young ladies that have lost only "2" games over the past "2" years...awesome, and even more awesome - after splitting with Clearwater during regular season, the Lady Knights got down to business Thursday at Rose Hill HS and in the 2019 PATRIOT LEAGUE TOURNAMENT CHAMPIONSHIP GAME, the Lady Knights WON 36-21 and are now the League Tournament Champs!! Congratulations to Coaches Kelsey Whaley and J' Lynn Ledesma and the Lady Knights!! Wellington is proud of you!! Read more about 8th Grade Lady Knights Are 2019 Patriot League Champions! The Knight and Crusader Concert Bands performed at WHS, before a nice-sized crowd Wednesday evening. The 6th grade and 7th/8th grade bands performed, the WHS Crusader Concert Band were the finale! Nice performances by all, under the direction of Mr. David Brody. A fine concert. Read more about WMS / WHS Bands Perform Well @ Winter Concert! 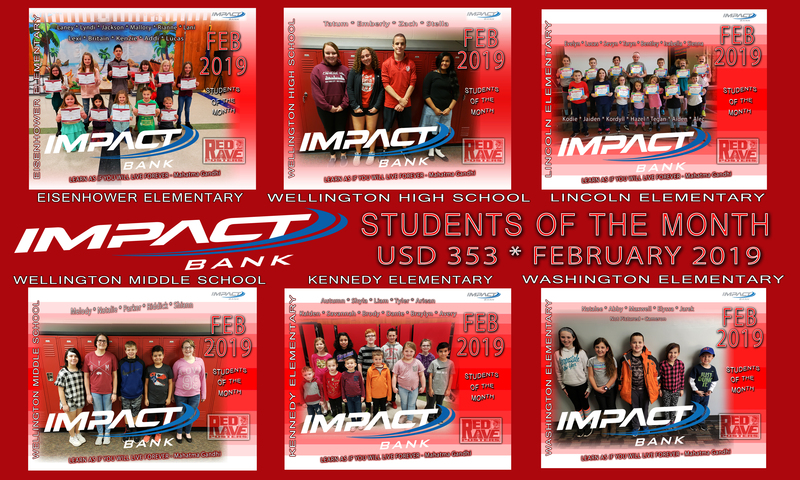 Read more about Charitable Best Describes WMS Leadership Students! WMS Greenhouse Project Provides "Hands-On" Real-Life Learning! 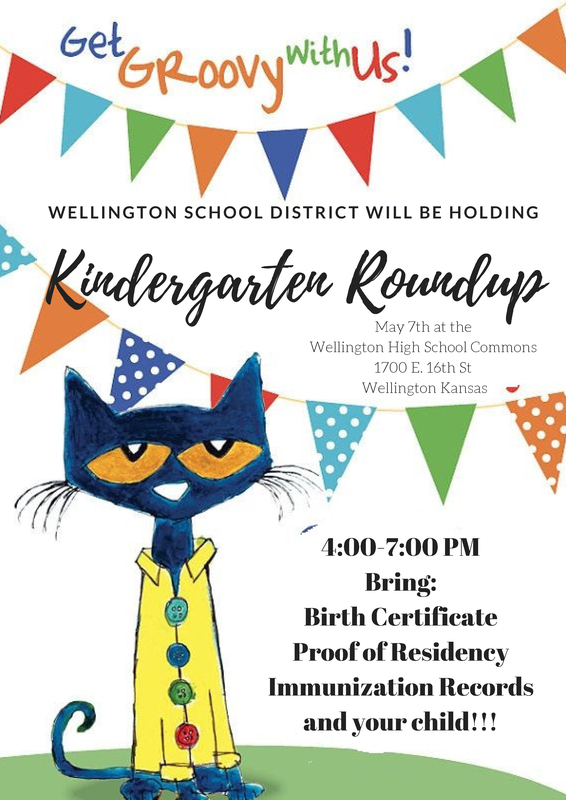 Wellington USD 353 students have been challenged to find "real-life" learning opportunities and the 6th grade students did not have to go far to find one. Read more about WMS Greenhouse Project Provides "Hands-On" Real-Life Learning! WMS's Jaxson Irey Wins Sumner Co Spelling Bee! Read more about WMS's Jaxson Irey Wins Sumner Co Spelling Bee! Duct Tape Fun @ WMS! Read more about Duct Tape Fun @ WMS! WMS 8th Grader - Stellar Young Receives Art Award! Wellington Middle School 8th Grader Stellar Young, received a "SILVER KEY" award from the Koch Arts Center for excellence in visual arts. The Scholastic Art & Writing Awards of 2018 are National Awards, made possible through the generosity of Scholastic, Inc., The Maurice R. Robinson Fund, the New York Times, the New York Life Foundation, the Herb Block Foundation, the National Endowment for the Arts, New York City Department of Cultural Affairs, and numerous other individual, foundation, and corporate funders. Read more about WMS 8th Grader - Stellar Young Receives Art Award! Read more about Attention WMS Parents - The "Knights' Round Table" is Coming! WMS 8th Graders Attend MARCH MADNESS Practice Session Wednesday! WMS 8th graders loaded on buses for the Intrust Bank Arena Wednesday morning, to watch the first round practices for the NCAA March Madness Tournament which commences on Thursday, March 15th in Wichita and many other locales nation-wide! Read more about WMS 8th Graders Attend MARCH MADNESS Practice Session Wednesday! Read more about WMS Leadership Team Assists "2" Angel Tree Kids!!! The WMS 6th, 7th & 8th grade choirs performed Wednesday evening out at WHS under the direction of Jessica Coldwell. Jeanie Escobar was piano accompanist.